Cars are common expressions of how developed a nation is. 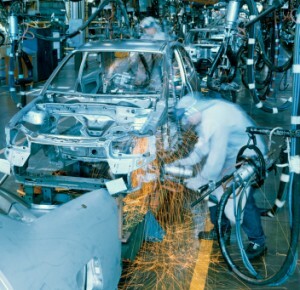 True to this statement, the most developed nations of the world have their own and stable car manufacturing industries that they export to the rest of the world, earning revenues for the source country. More than that, some nations have become synonymous with the brand and quality of their manufactured cars as the case of Japan, Germany, and the United States. Unsatisfied with this and all the modifications they have created on their cars, they have taken automotive technology a bit further by using nanotechnology for cars. When nanotechnology was discovered, the automotive industry was not seen as a possible beneficiary from this piece of knowledge. Yet in time, the automotive industry became one of the heaviest users of nanotech. With nanotechnology in cars, vehicles were made more efficient. Engine and transmission systems. In contemporary cars, a large share of the vehicle’s weight is due to the weight of the engine and the transmission system of the vehicle. As a result, cars are fuel-hungry because of the need to push forward such a heavy machine. Nonetheless, with the advent of alloys, engines were made lighter somewhat but not sufficient to make them fuel-efficient. The answer came with the arrival of nanotechnology. With nanotechnology, engines and parts were made a lot lighter, thus eliminating the need to consume more fuel just to power the vehicle forward. Chassis. In the same manner that the engine and its parts were made lighter, the same benefit happened in the case of the chassis. Aside from being lighter, chassis and engines were also made more durable, making them withstand daily workload on the road. One of the most advanced examples of nanotechnology in cars involves the production of paint that is constituted in microvolumes. The idea is to create a surface that automatically heals itself whenever it is scratched or tainted with some foreign mark. This procedure allows for the paint to release nano paint particles that automatically spreads to cover up the scratched area. It works instantly you’ll hardy notice the surface was scratched at some point. Another of the advanced applications of nanotechnology for cars involves the production of mirrors and side panels that are made out of nano particles. Being so, they filter the rays of the sun, smoke, and other pollutants in the atmosphere. The same technology allows radio and phone signals as well as sound waves to freely enter the cars so that the occupants of the vehicle will not be made oblivious to the world outside. This is beneficial for those who have some form of hearing defects; even with all the windows closed, you may still be able to hear the honking of the horn of the next car. Likewise, you do not have to open the window when it is raining just to get a clear signal when calling from your mobile phone.